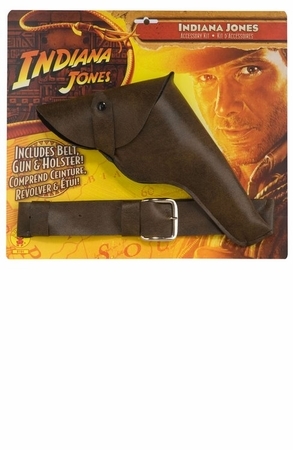 Complete your Indiana Jones or cowboy costume with licensed brown leather-look belt with holster and toy gun. One size fits most adults. By Rubies. 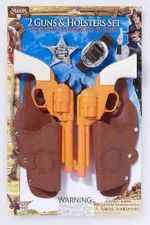 Note: We cannot sell toy guns to the following areas: California, Connecticut, Florida, Minnesota, New York, New Jersey, or ANY international location. If residents of these states order toy guns, the order may be delayed while we try to contact you or cancelled. 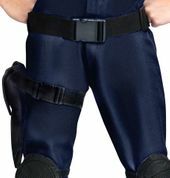 See more options in our Movie and TV Costumes section!